When you start a company in partnership with someone, it is usually referred to as a joint venture. Whenever there is scope for a partnership, there has to be an agreement of sorts. This agreement template is a formal document which is legally binding and may be upheld in a court of law. Now if you have to draw up documents as formal and important as these, why don’t you just take a look at these joint venture agreement templates here? 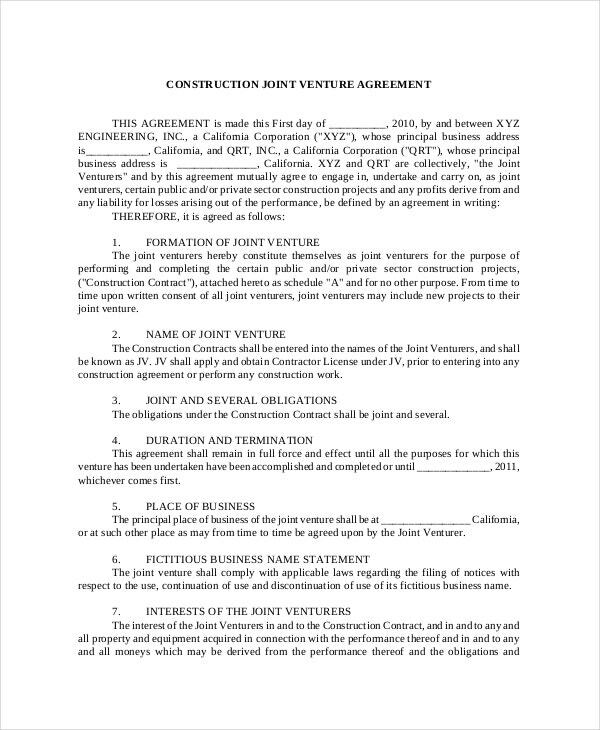 If you are forming a partnership to fund a construction project, you can use this joint venture agreement template. It has been designed specifically keeping that in mind. 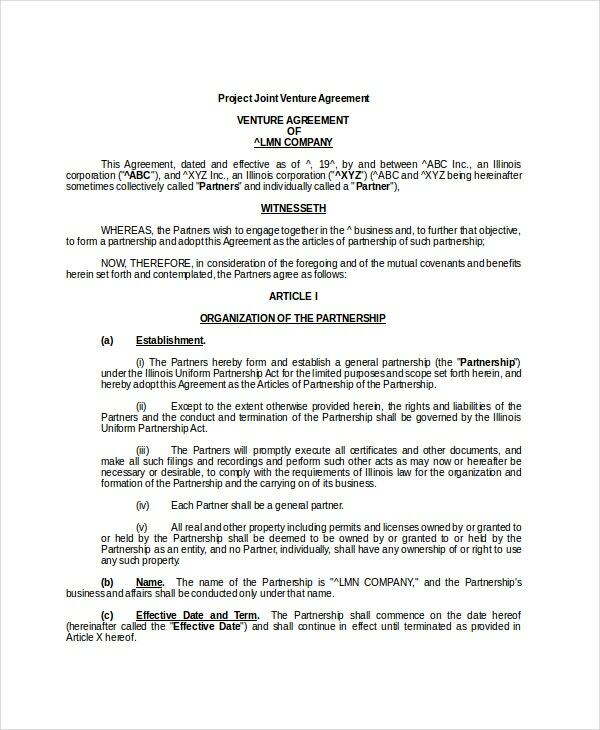 A join venture agreement is basically a contract of some kind. 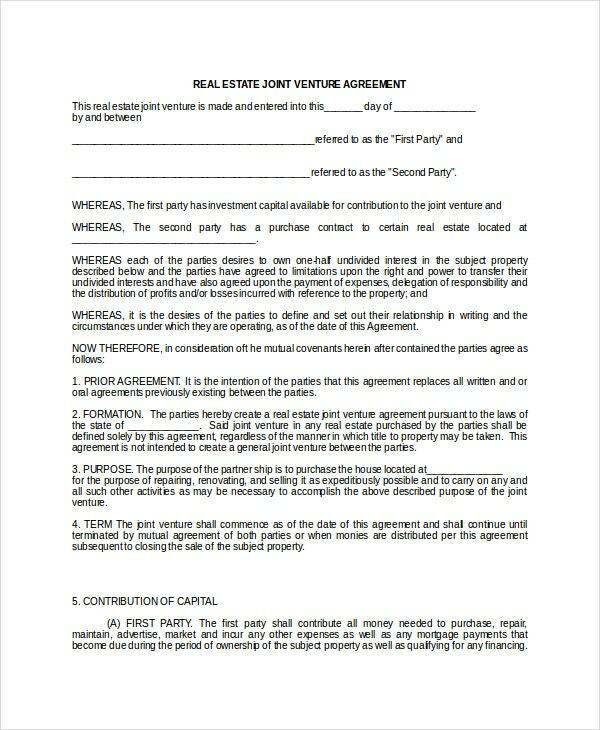 That is exactly what you get with this contractual joint venture agreement template. Also, the template that you see here would be perfect for any kind of partnership. 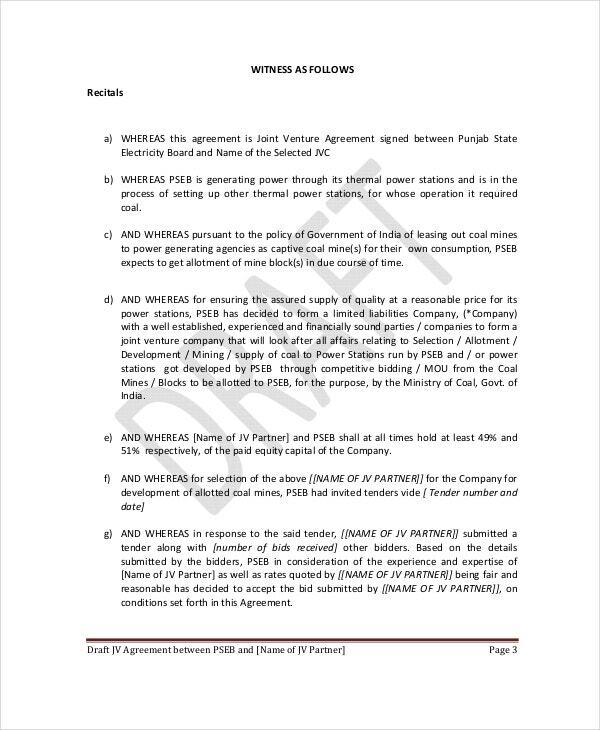 You can also see Shareholder Agreement Templates. If you and your partner are planning to launch a company together, you definitely need a partnership agreement template to seal the deal. You can do that with the help of the template found here. 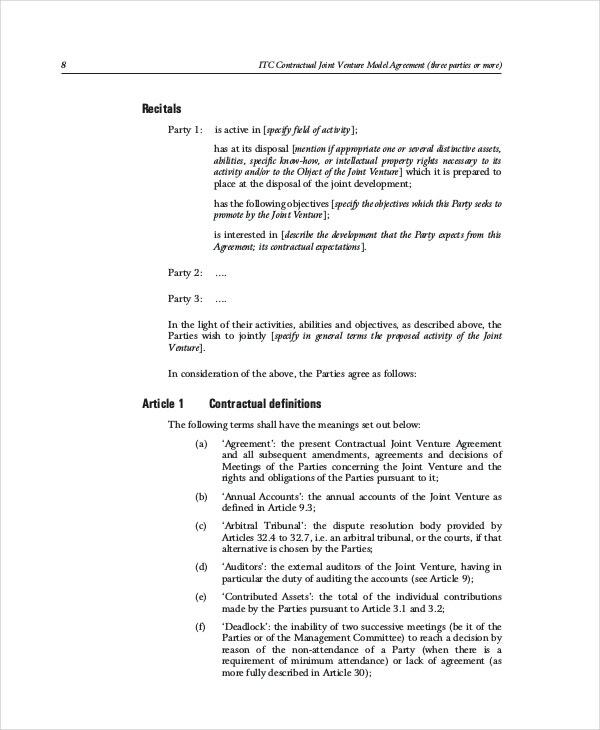 > Who can use the Joint Venture Agreement Templates? If you are planning to enter into some kind of partnership with someone, you will be needing a joint venture agreement. For instance, if you were to launch a company in partnership with someone, then you could use the joint venture agreement templates. Here, you could state all the terms and conditions and points that must be kept in mind with regards to the agreement in question. As a matter of fact, either of the two parties could make use of the joint venture agreement templates. 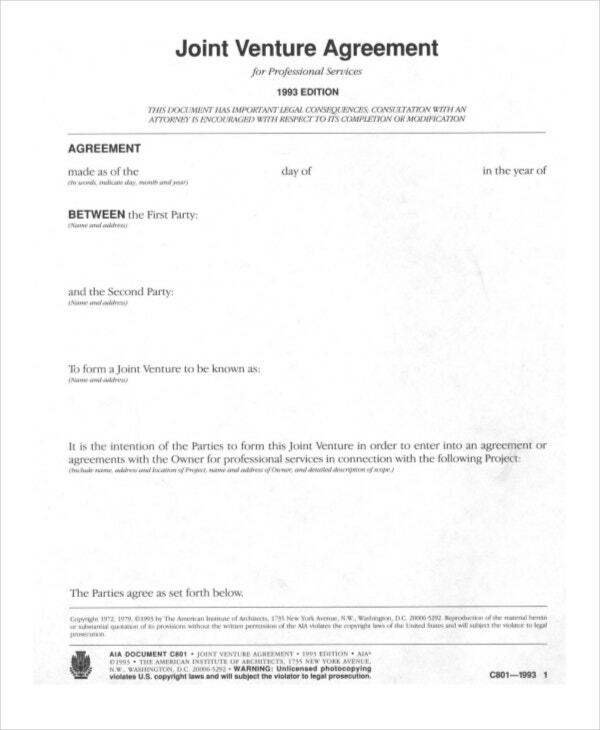 Both parties would have to agree to the terms and conditions and sign to seal the deal. 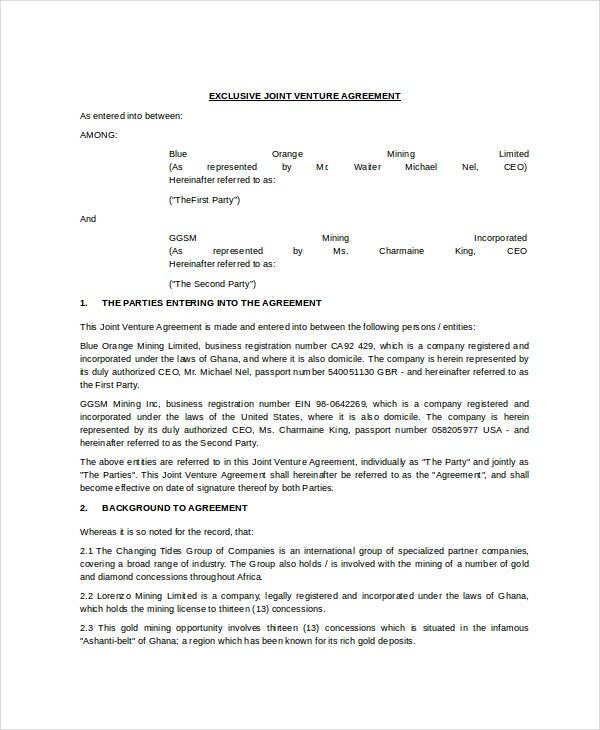 This template here is a classic example of what a joint venture agreement should look like. It contains all the details filled in their respective places in the form of neat little columns. Also, the data and terms and conditions are done in a neat way. 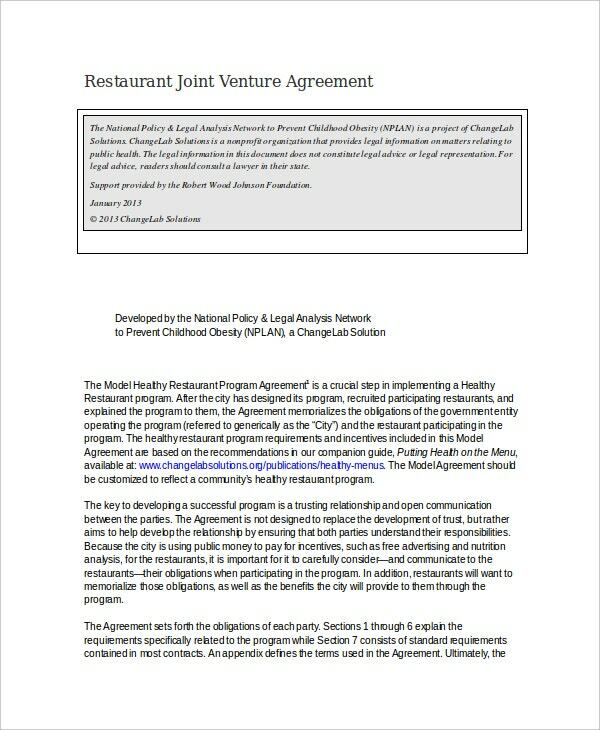 If you and a friend of yours are planning to start a restaurant of your own, then you can do so with the help of this restaurant joint venture agreement template. 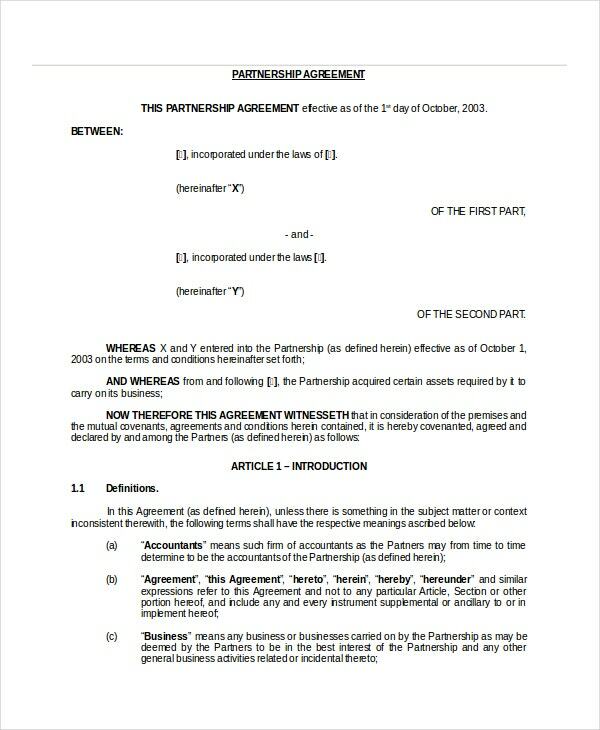 The partnership agreement template comes in an accepted format and is very easy to use. The templates here have been designed by a bunch of professionals who know what a joint venture agreement is supposed to contain. They have designed the document accordingly. You get to speed up the process as well. You wouldn’t have to waste your time on the format or the creation of the agreement. It has already been done for you. You can blindly rely on the templates here and finish your work quicker. It is as simple as that. 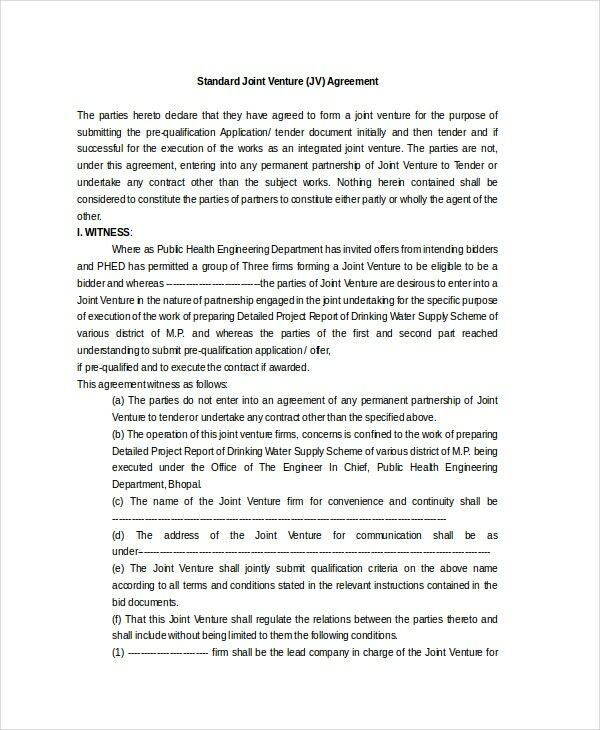 If you are planning to enter into a partnership with someone, you should consider using the joint venture settlement agreement templates. Also, the templates here have been designed by professionals. They are perfectly aware of the kind of language and tone to be used in a document as official as this.